Please remember to read the entire description before commenting, because I won't reply to you if that's where the information you want is. Feel free to upload your own images to the page, I have that open so go ahead. 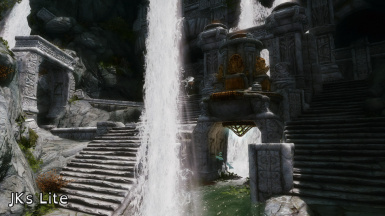 The first fifteen images are all gifs, so wait for them to load before complaining they are only showcasing the vanilla cities. If you have any compatibility questions about if it works with other city mods, asking me won't get you far because if it's not in the description, I don't know. Try it out for yourself and report back. If you include pictures or a very comprehensive report, I'll add your info to the description with credit to you. 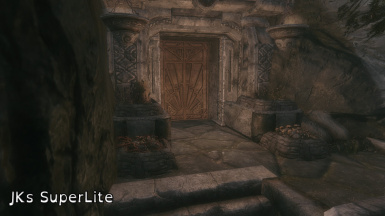 If you would like me to re-add something I removed from the files, please state why in terms of how it would benefit the STYLE or VISUALS of the actual mod project as whole. 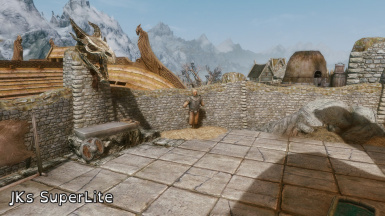 I won't be adding things back in just because you like them because if I did that then eventually I would end up with everything the way it was in JKs Skyrim the original full version. Similarly, if you would like me to remove something, please state why in terms of STYLE or PERFORMANCE that it would be beneficial to remove over other options. 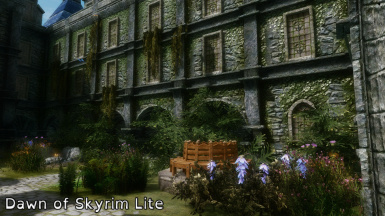 Yes this mod will be coming to SSE, and to consoles as well. PS4 users should expect the complete version of the cities, minus three NPCs. 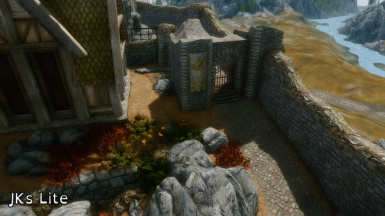 For the Towns, they will also be getting a version of them, but a bit stripped back to deal with some of the limitations. 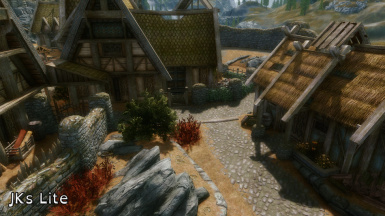 SSE porting is a priority for me, but first I need to go through and take new pictures of the towns, update the page etc, so its not something I want to do a half assed job of. It will be coming soon, but I am busy, so please try and have patience. 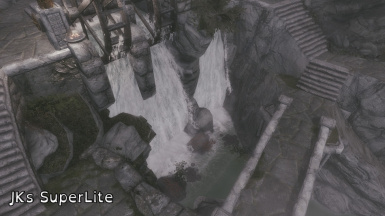 If you want to use the cities in SSE in the mean time, you can easily run them through the new CK and convert them yourself, there shouldn't be any issues with that at all. As far as the Towns, I can't guarantee it will work without issues. 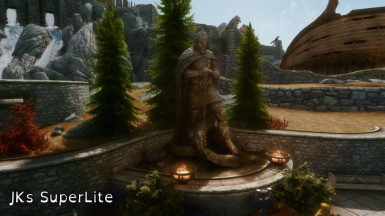 The 1.3 file just released will be the last update for the Towns BETA. 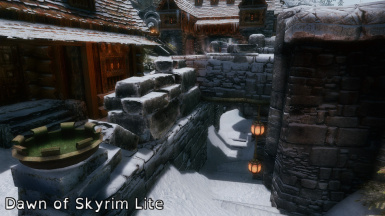 After a bit of time has passed for bug reports etc to come in, they will be released as a proper version, and be out of BETA, and this will be updated to a JKs Skyrim page, not just JKs Cities. All the towns are now included, with the exception of JKs Skaal Village which was recently released and I havent even had time to look at that in game yet because I've been so busy. 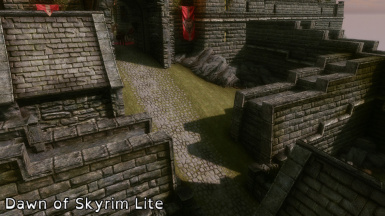 That will be coming out in the next version as a full release along side the finalized towns. As always, questions, comments and feedback are welcome, along with your own observations and FPS tests. Hopefully you guys enjoy it. The Towns BETA does NOT INCLUDE any extra compatibility with other town editing files, including ICAIO. People wishing to use this with ICAIO should be using the light version of ICAIO, not the full one. I have no way of ensuring compatibility with ICAIO at any time in the future due to being blocked by ICAIOS author from accessing the file. More information about that situation can be found in this mods description. 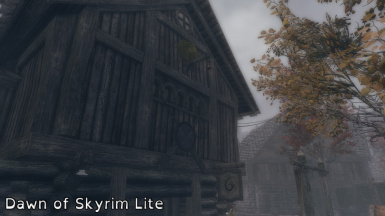 I''m getting STDs near Riverwood with this mod installed. 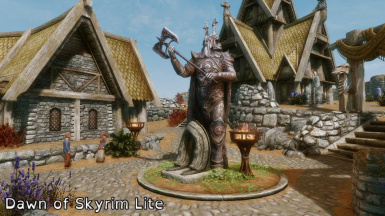 Thank you, I use this for Riften & Solitude Super Lite , while Whiterun and Markarth I use original JK with little performance hit. Compatible with SE. 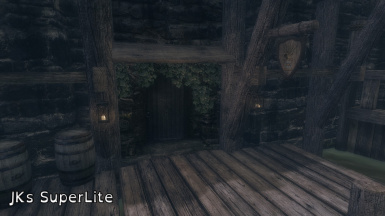 Would like to see the Morthal only version without entrance gate, I tried to edit some with xEdit but afraid deleting wrong entry. 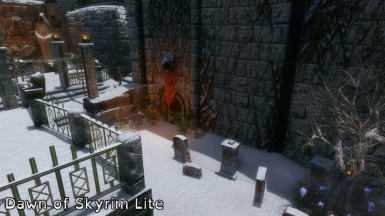 Getting some minor incompatibilities with the "Dawn of Skyrim" compatible plugin. 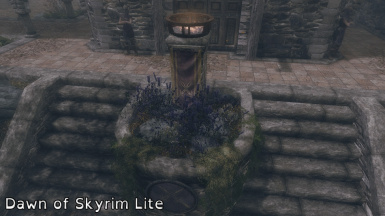 some of the Lanterns placed around riften are getting duplicated. 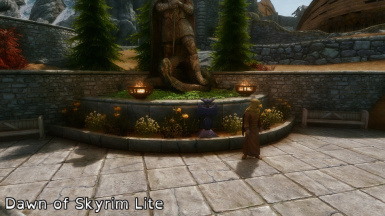 I think this might be an incompatibility with Relighting Skyrim. 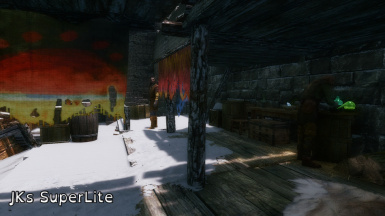 The author mentions this in his description - Dawn of Skyrim adds a lot of lights, some of which conflict with this mod. Hi. 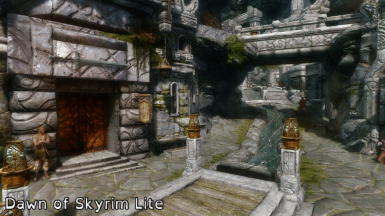 Is there some problem if i don't install Dawn of Skyrim? It's because i don't bought Dragonborn yet. It's optional, only install if you use that mod. 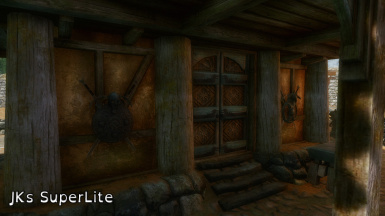 I'm using the Superlite version along with Nernie's Thief pack and so far seems to be mostly compatible. 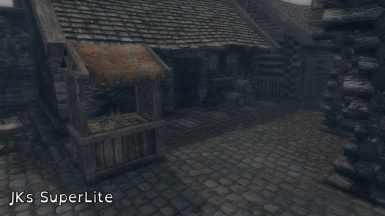 Nernie's adds shops and a player home to the Riften canal and Windhelm Gray Quarter. 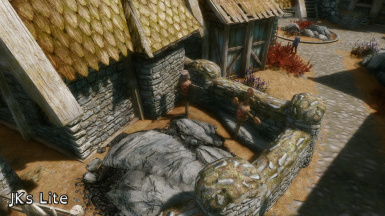 The one issue is Nernie's adds a walkway across the Riften canal water where JK's has added a boat. I just disabled the boat and everything else seems to be without issue as far as I can tell. 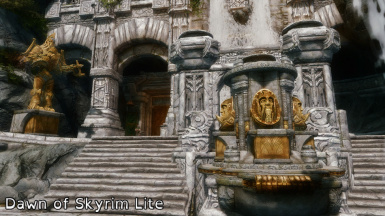 haven't tried the mod out yet, but I'm glad I stumbled on this because while I loved jks city mods I had to always not install often with how bad the performance loss was. same here and I have an [email protected] and a 1080ti ! 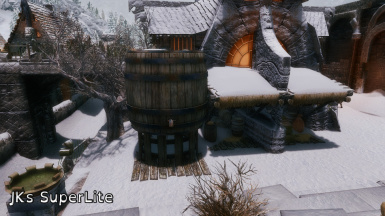 with my uber-setup I get as low as 30fps in towns...no thank you ! 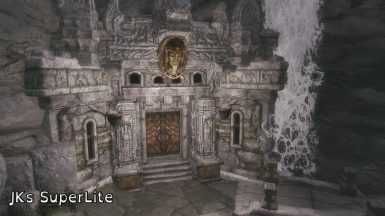 Any plan on adding the smaller towns as lite version anytime soon? If you read below he had medical issues he had to take care of. I personally hope he is ok apart from anything else.